← Pachauri passes go and collects! EU switches to “Plan B” climate pitch whines about Polar Bears! What me swim? Where?Look at this ice! Here’s something “unprecedented” regarding the European Community. They’re now going to “Plan B” trying to coerce the US and China into a climate treaty. They’re so desperate now it’s pathetic. “Plan B” involves trying to get these two countries to extend the end of the Kyoto Treaty that expires in 2012. That’s all folks! This appears to be the only goal the EU now has for the “big” meeting in Cancun coming up that, based on copious amounts of warmer BS after the COP15 flop-a-rama, was being touted as being a sure thing for attaining the goals that were not agreed upon in Copenhagen. Yes, it’s denigrated to that. The EU ministers from various countries are chewing the fat about what to do about what is turning out to be what may be Armageddon for a climate treaty. The following quote indicates to me this guy must have just come out of a 10 year-long coma. Joke Schauvliege of Belgium, chairing the talks, said Europe had “reawakened trust in Cancun,” referring to the next UN climate meeting from November 29 to December 10 in Mexico. Well, based upon that statement, I’d at least offer the suggestion that his first name is very appropriate, not to mention quite fitting for anyone believing in global warming. Oh and lets not forget those poor polar bears who are having major problems despite the fact that the Arctic Ice extent is currently breaking records for increases. 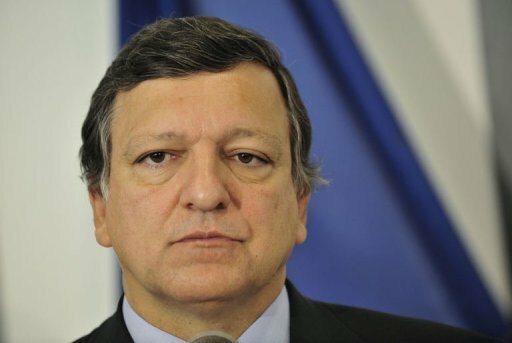 Barroso wants “concrete and immediate action” to deal with already irreversible consequences of climate change. Polar bears are having to swim ever farther in search of food due to melting ice, and Brussels says countries must already change behaviour likewise. Please wait a moment while I wipe the tears out of my eyes…..those poor Polar Bears. Perhaps Barroso should go up to Churchill, Manitoba, Canada and give one of those cuddly little guys a big hug and a wet kiss! Desperation is now setting in with the climate scammers and hopefully these con-artists will soon give up their plans to carbon trade us into oblivion. Comments Off on EU switches to “Plan B” climate pitch whines about Polar Bears!